Skip the queue and check-in online at home. If you have booked seats in advance via Jet Time website, you can check in online if you travel from Billund, Copenhagen, Göteborg-Landvetter, Helsinki-Vantaa or Stockholm-Arlanda. Due to new security requirements it is possible to check in online only if you travel within the Schengen Area*). Online check-in can be done 14 days or less before the departure date, and up to 3 days prior to departure (not including departure date). If you have done an online check-in, and are not traveling from Copenhagen, you can print your boarding pass from your computer at home or use the mobile phone version. After that you have direct access to the baggage drop desk at the airport. If you are traveling from Copenhagen, you have to print your boarding pass at the airport at the same time you print the baggage tags. 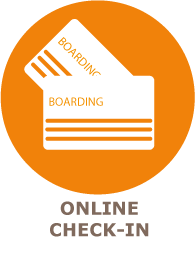 Online check-in is only possible if you have booked your seats beforehand. Austria, Belgium, Czech Republic, Denmark, Estonia, Finland, France, Germany, Greece, Hungary, Italy, Latvia, Lithuania, Luxembourg, Malta, Netherlands, Poland, Portugal, Slovakia, Slovenia, Spain and Sweden.